The Cannons have a lot to look forward to. After getting a season under their belt in their new home, The Tampa Bay Cannons also get to welcome back Head Coach Andrew Roca for his second season. The Cannons brought on a lot of new talent during the 2018 season and invested in some younger players with the hopes that these young bucks will pay dividends in the near future. Some of these rookies have already started moving up in the world. John Taylor, a college student at the University of South Florida, earned “Player of the Game” in his first appearance on the pro stage during the first game of the 2018 season. Adam Vinson tacked eight goals onto the Cannons scoreboard in his first season and Tron Bass looks to make a name for himself with more time on the field to boost his scoring potential. Indeed, the future looks bright for the Black and Yellow, but that doesn’t mean management is shying away from grabbing new talent for the 2019 season. “What I’m most excited about going into the 2019 season is to see how the current and future talent has shaped since last year” notes Roca. Looking to build on the success of last year, to prepare for the upcoming season, the Cannons will hold a Combine. This two-day event will be held on January 12th and 13th at Barnett Park in centrally located Orlando, Florida. Each day will be capped at 40 players, so interested participants should act quickly! “It’s obvious that we have a lot of work to do; finding coachable and adaptable players to fit into this special system has been the biggest challenge for years”. While the organization is optimistic for younger players to groom, the event hopes to also attract seasoned talent interested in making this upcoming season a winning one. “I look forward to the challenges we face” says Roca, “and the players that look to join me along the way”. 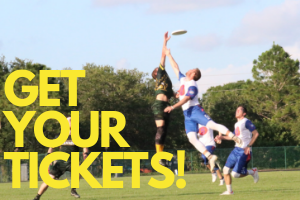 Think you have what it takes to make a BOOM in the Tampa Bay area this season? Stay tuned for sign-up information to secure your spot at this year’s Combine.